A new innovation from the Goebel Group. 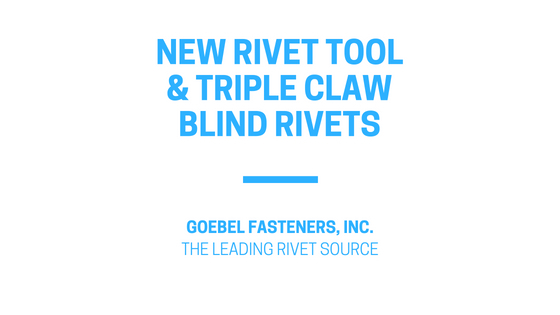 A single cordless tool for all sizes of Triple Claw Blind Rivets. Our Triple Claw Blind Rivets (TRE-GOs) are made of Aluminum/Aluminum and have a unique mandrel locking feature. The three separate legs allow for a high clamp-force when working with thin and brittle material. In addition, when working with oversized or uneven holes our Triple Claw Rivets offer the advantage of large leg formations to resist pull through. The EPDM washer creates an additional seal around the perimeter of the rivet head preventing moisture from intruding. 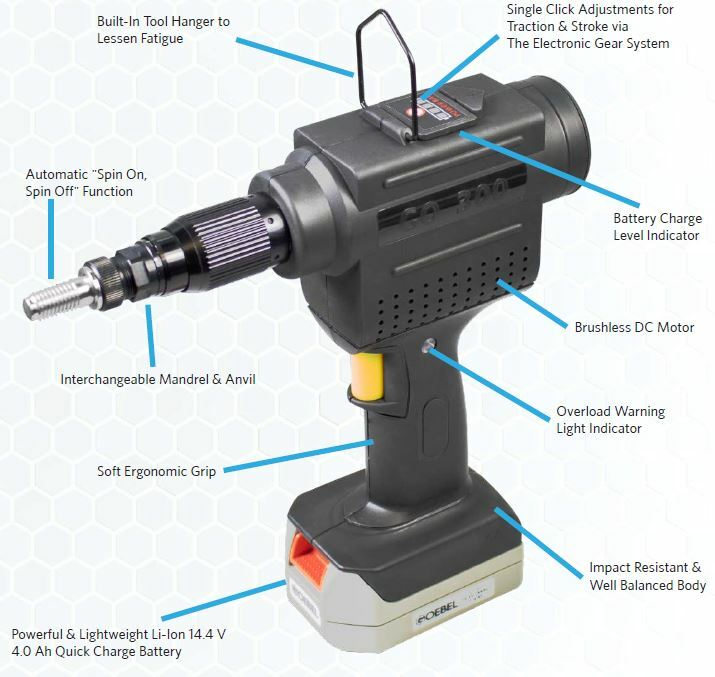 The GO-100+ is a lithium-ion cordless rivet tool for all sizes of triple claw blind rivets. It has a pulling force of 2,698 lbs and a stroke of 1.063″. The tools come with everything you need to get started! Including nose pieces for sizes 3/16″, 1/4″, and 9/32″. 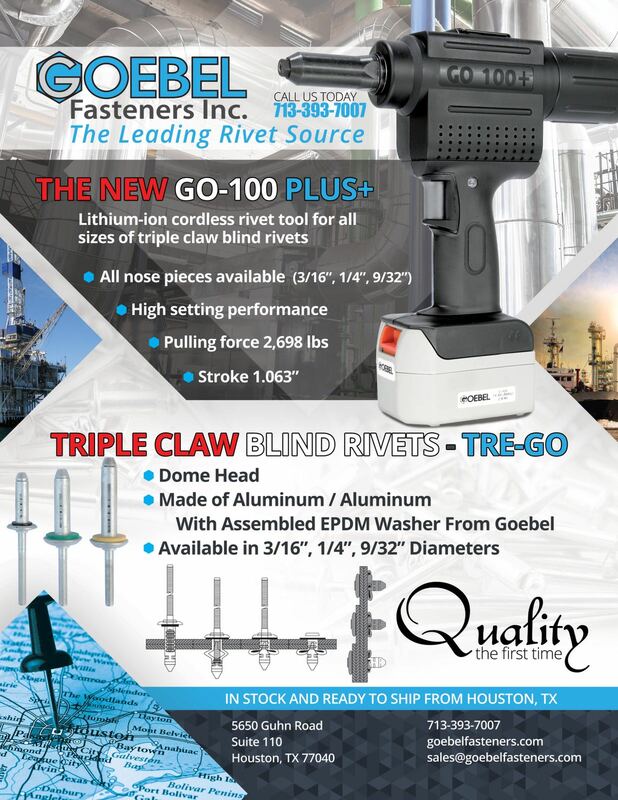 Both the GO-100+ and the Triple Claw Blind Rivets are available from stock in Houston, TX. Please feel free to reach out to us with any questions you may have. We’d be happy to put you in contact with one of our distributors.